If you like the Greek entertainment, go to Oskars, if you don’t like it, then I would not recommend it. Oskar makes Greek tricks and Greek blah blah all night, because he wants every body to smile and enjoy their time with him. Oskars restaurant/bar is an original, Greek place. I agree with Bethan & Emma, Oskars is the best restaurant in lassi. We also were told by our rep at the welcome meeting not to take Oskars booklet. She recommended the tour companys package, to go to a restaurant with Greek music and meze night which was expensive. Perhaps our rep didn’t want us to go to Oskars for a better Greek meze at a better price. Our rep believes that she is cleverer than us, her own clients. Reps should stop underestimating the intelligence of the holiday makers and give better information. Kefalonia is a beautiful green island with many different trees and flowers. The people are very friendly and welcoming. It is a big island with many places to visit and lovely clean beaches. There are many good restaurants and bars. We found the free booklet from oskars restaurant to be most useful with its very good maps of the island and lassi and its beaches. AT THE WELCOME MEETING, OUR REP TOLD EVERYONE NOT TO TAKE THE BOOKLET FROM OSKARS BUT WE WERE VERY PLEASED THAT WE DID. WE READ ALL THE INFORMATION, VISITED THE RESTAURANT THREE TIMES AND ENJOYED GOOD FOOD, EXCELLENT SERVICE AND A GREAT ATMOSPHERE. We can only think that maybe our rep, Pat didn’t want us to go to Oskars because he was getting commission from other restaurants. We suggest you don’t just listen to the reps, but see and decide for yourself. kefalonia is a beautiful place the people are very friendly, oskars is a 10 min walk but it is well worth it, the food was very good and the entertainment was amazing, would highly recomend to come here ! Night life in Kefalonia is amazing and fun especially the Greek night at oskars. The beach is lovely and a great holiday for families. Ps. Our rep was getting her acting face all the time to sale us her tour island packages, which were so expensive. We hire a car and explore, I think it was better. It’s our first time in Kefalonia. We had tried a few restaurants in lassi. When we came across OSKARS we was amazed with the friendly staff that made us very welcome, the atmosphere is welcome and fantastic. It’s a beautifully clean restaurant, the waiters are wonderful and food is excellent. Hopefully God willing we will be coming back next year to stay at OSKARS apartment. OSKARS and his Family are wonderful hosts! The dancers are professional and in traditional Greek costume. Tucked away on the fanari road, Oskars restaurant is a real treasure to find. The stuff is friendly and efficient and the food is totally delish!!! Advertising should make it clearer that this is not just a restaurant but a total evening entertainment. We tried the rest but you can’t beat the best. The welcome, the food, service, entertainment & friendship at oskars is 100%. Every detail is to perfection. A fantastic family run atmosphere. A perfect ending to a wonderful relaxing holiday. Many thanks to Thomas Cook rep for the recommendation. Oskar the dragon.-The fire tricks very good! The meze was very good! Maybe you could open an oskars in england? 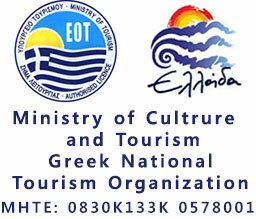 Excellent dancing+party- The best in kefalonia.